From 29.04. to 06.05.19 the practice is closed for repair and maintenance work in the building. In case of emergency, please contact Dr. Felder at the AOK Klinik, Tel. No. : 06131-256150. 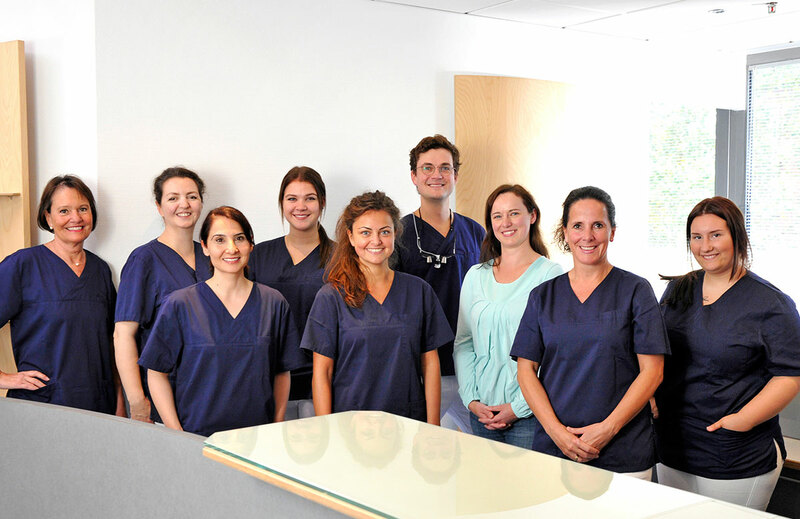 In your practice in the Bonifaziustürmen at Mainz main station, we do everything we can to ensure optimal dental health for you and are not only a competent contact for all dental concerns, but also your specialist practice for oral surgery in Mainz. Since February 2016, your dentist and oral surgeon Dr. Maximilian Blume has continued the practice of Dr. Roland Schmitt – a practice that has been run for 35 years with great competence and warmth. We are delighted to be able to take over Dr. Schmitt’s entire team in the proven and friendly practice rooms at Mainz railway station, so that you can continue to feel well looked after, understood and cared for. Since February 2016, your dentist Dr. Maximilian Blume has been offering you an extended range of services, which includes tooth preservation, high-quality dentures and aesthetic dentistry in all its modern facets. Continuing as a practice for dentistry and oral surgery, from now on we can also offer you the special services of an oral surgeon in your dental practice at Mainz Main Station: From wisdom tooth removal to modern implantology, microsurgical root tip resections and, of course, soft tissue and bone augmentation, even in complex situations. We attach great importance to a sensitive and cordial cooperation, because a long-term and trusting relationship between dentist and patient is the best guarantee for your optimal oral health. We will be happy to answer any questions you may have during a personal consultation at which you can convince yourself of our high standards of quality and service in our dental practice in Mainz.